Let’s not be foolish, and remember that the average person in an MLM doesn’t make squat. ….or maybe you just want to check out how I am making bank today..? Either way, I think it’s great that you are here trying to better your life. Learn what I did that made me get out of MLM all together! 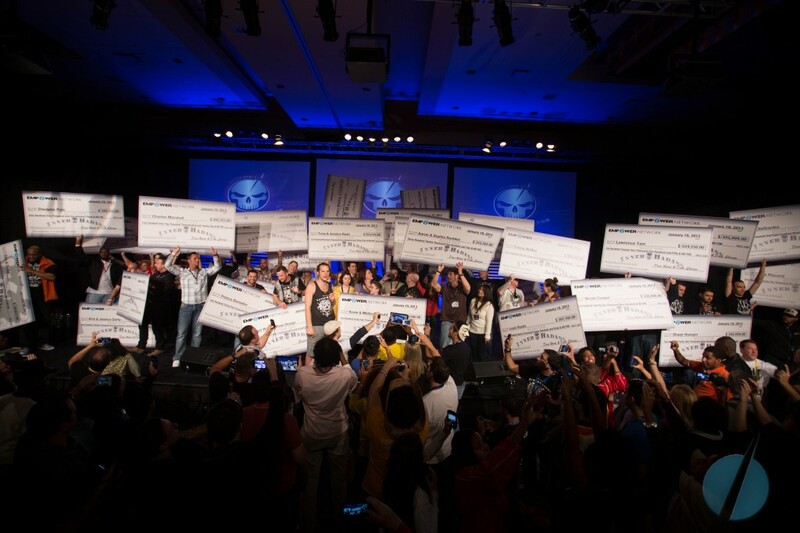 All things Empower Network, like 2 years ago. HA, but in the end I still love what they about. David Wood might literally be the most consistent human being alive. He’s still scraping together products, training’s and trying to pull his huge affiliates back on board, and now launch Project Titan. However, in my opinion, this ship has sailed man, and unless you are willing to truly try out tons of traffic sources of people who have not heard of Empower Network, then I advise you to stay away. It actually was the father of Digital Altitude from Michael Force. He used to be with EN and basically copied the concept from Empower. I do want to say how impressive David Wood is though. Fierce individual and deserves his riches. I think he even made a lot of other people rich along the way, which is always a positive thing. Formerly known as Prepaid Legal, the company changed it’s name in 2011. Again, a typical MLM showing the glitz and glamour of the business opportunity. However, as much as I find it cheesy to constantly rip the way these companies sell, it is a form of advertising that works so well. I guess I might do the same. There are problems with the company other than the MLM side. There is a 50% retention rate, meaning for every 100 members only 50 continue to pay. A large percentage of the companies customers are actually also sales reps.
75% of sales rep make less than 1 sale in a year. It would be an uphill battle to say the least. My biggest problem is the fact that most people don’t need that much legal advice in a life time and as an MLM I don’t like the product that much. There are a lot of hidden fees built in and one day when you truly do need advice, will the company actually consult you for FREE. The Company has celebrated it’s 20th year in business last year which blows my mind considering most don’t last 2 years. What is so impressive is not only did they start out with humble beginnings but totally flies under the radar. Not much controversy which is always good. Starting out as a brick and mortar, Gary Young, the founder, got some land in Utah and Idaho and is taking full advantage of the natural living in the year 2000’s. I am still an active member of MOBE, however I don’t actively promote it. I think I did about $6,000 in commissions and from the sidelines there are a number of people making a lot of money. I made it #22 because it is kind of an MLM but not 100%. The company is dominating the Affiliate Marketing space and I predict even more growth. Matt Lloyd who started this company struggled for about a year to get it off the ground. Once he hired Daegan Smith, and basically copied Daegan’s funnel, the company started to take off. I actually spoke to Daegan on the phone a year ago, because I was buying some traffic from him, and he is bitter about the growth of Mobe. 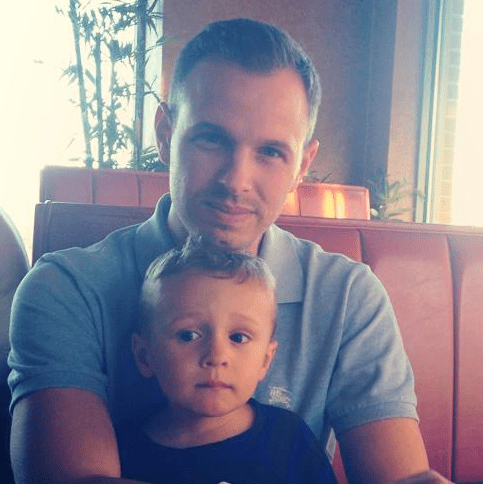 Matter of fact, he actually quit internet marketing and unlike empower network, Matt Lloyd has something special. MOBE exploded once Daegan and John Chow joined because it created a wild fire of other large affiliates like Shaq, Donavan and many others. I have a full MOBE review that talks more about it. Founded in 1956 and still around is pretty darn amazing. Like a ton of MLM companies, Shaklee specializes in Skin care, home care, nutrition and weight management products. I like the fact that they have 250 million invested into their own company giving them an advantage of having skin in the game. In addition, the 250 million yielded great products and 60 years in business shows that. However, at the end of the day, the company is just an MLM, and the question is can you make money with Shaklee? The company was launched December 10th, 2005 by Wayne Nugent and Mike Azcure who of course have had success in the industry. The Travel niche is an extrememely popular niche and can yield a ton of business if the product lives up to its hype. Even though so many companies like Wake Up Now have come and gone, World Ventures still holding its ground. Lastly, if travel is your thing, it may work for you, but I would definitely research it a lot more. Isagenix brand is based on meal replacement shakes and other “food” to help you lose weight. I have had experience with this company and wasn’t happy with it. I have it at #19 only because of the possibility making money, if that is your thing…but losing weight, it caused my wife’s hair to fall out. She stopped taking their supplements and it grew back. So I should bounce Isagenix off my list, but I am strictly writing about their opportunity and trying not to make it personal. ACN was the vision of four entrepreneurs – Greg Provenzano, Robert Stevanovski, Tony Cupisz and Mike Cupisz. ACN began as a reseller of long distance services in the U.S., but over time has grown to offer all the essential services customers in 23 countries use on a daily basis. This is a company that has been around for over 20 years. Founded in 1993, this company has risen into one of the top MLM companies in their particular niche, but still #18 on my list. ACN is a telecommunications company with products ranging from telecommunications to energy services and television products. The company to me is blah, and I want no part of selling this type of products/services, but if the above niche interests you, go for it. Ah Mary Kay….Love those pink vehicles! Mary Kay is an american skin care and beauty product company for both men and woman. Founded in 1963 by Mary Kay Ash, she started a small store front and grew to this billion dollar company. I listed it at #17 because of how long it is been around, how many people have made money in Mary Kay and the fact that there are not many complaints after 6 decades. But if it don’t work out, I’ll be here to show you a better way! Organo Gold focuses on beverages and personal care products. Several Coffees and teas to improve overall health is their “slogan”. Some products include Organo Gold Organic Spore Powder and organ Ganoderma Lucidum. The most popular ingredients is grape seed oil and the spore powder. The most simple aspect of this MLM is the fact that they chose a highly profitable drink (coffee) twisted the organic and squished in the “it’s an antioxideant”. In the end all you are doing is paying a ton of money for a $1.00 instant coffee. The money is in the recruits, but heck, who the frig wants to try and recruit people to sell coffee? Interesting company because I never knew it was an MLM to be honest. I know of P90X, shakeology and so many other products that beachbody came out with. However, I never realized it was actually an MLM. I was actually researching some stuff on top 25 MLM Companies and ran into a great beachbody review. That is where I learned a lot about the company. To keep this simple and to the point, although the trend is skyrocketing, the company is hitting it out the park, so many need to know if they can make money with it. You pay a fee to be a “Coach” and then go out and either sell the products or recruit other “coaches” to sell the products. Honestly, if anymore information is needed, check the link above. That is what heck of an article. Company was founded in 1978 in Arizona and is known as one of the biggest network marketing companies in the industry. 9.5 million global distributors strong spread out over 150 countries. The owner started distributing the products through his family and friends, which is what MLM companies always have you do when you first join. Although I am completely against it, this is the basis and foundation of network marketing. The biggest reason for distributors is the wipe out the need for commercials, ads and media. Word of mouth is the only advertising they need. It seems like a solid company, but again mlm really? Melaleuca was created by Frank L. Vandersloot who launched the company in September of 1985. Doesn’t mean it’s good for you, but def a solid company. They are in the health and wellness industry with some Eco cleaning products etc. Very comparable to Amway and Herbalife. They all have variety of products and a good track record. Usana was created by Dr. Myron Wentz who had a vision of a world with no disease. He believes that all the problems with health are directly related to lack of nutrition. Dr Wentz served as infectious diseases specialist and directed the microbiology and immunology laboratories for three hospitals in the Peoria area. It seems as though he is pretty qualified. In 1974, he launched Gull Laboratories and in 1977, many of his viral diagnostic assays where finally FDA approved. In 1992, Dr Wentz sold Gull Laboratories and the birth of Usana Health Science as we know it came about that same year. Quick rundown of their specialties. Nutritionals: This includes vitamins, minerals and anti-oxdants all in many different forms. Diet & Energy: This includes all the protein shakes, meal replacements and energy drinks. Personal Care: This includes all the skin care products, shampoo’s and other beauty stuff. Again, still an MLM, so is it worth it for you? The company officially launched in 2004 by Orville and Heidi Thompson with it’s main headquarter is in Meridian, ID, USA while it’s distribution sites are in Meridian, ID, USA, Lexington, KY, USA, Coppell, TX, USA and Warsaw, Poland. The wax is manufactured in Meridian Idaho. The company has over 1,000 employees and 200,000 IR worldwide. The company sells fragrance wax. The wax sits in a warmer and when it melts, you get the aroma. Nice for Bed Bath and Beyond, but to join as an MLM rep, yikes, don’t think so! Founded in 2012 by a family Derek Maxfield and Melanie Huscroft. This brother/sister duo made the inc 500 list in 2010. Reaching 100,000 “presenters” they did 2.06 million by end of 2013. What makes them different is they have taken the social media by storm as their way of selling. Unless you have a passion for makeup, I’d suggest stay away! If you do, then hey give her a go! Nu Skin, a network marketing company founded in 1984 by Steven Lund, Sandi Tolliston and Blake Roney. Doing $1 Billion in sales for their skin care products. Over 50 countries and still growing fast make this company pretty darn impressive. I would say Nu skin is definitely not a scam, but no something I would want to join myself! Nerium was founded by Jeff Olsen who was the author of The Slight Edge. Jeff, a well respected direct selling genious, is known in the industry as the King of Sales. His book is spread like wild fire through the industry and has been doing this type of business for 15 years in a row. 150 years of management experience so this MLM company is down right solid. Great company, not sure if you want to sell creams for a living. I don’t but I did hear they work, and even though some people talk about nerium being a scam, I happen to disagree. Founded by Randy Ray and Wendy Lewis back in 2009. Lots of experience with organizations and distributors so no wonder this landed #7 of my top MLM companies. This network marketing company was founded by Randy Ray and Wendy Lewis in 2009. Again, nothing new here, tradition MLM goes through your warm market and recruits your mom, dad, aunt and uncle! I really hate that, but if the products are great, then what the heck!! I do find Jeunesse a little dicy considering it is aligning itself with stem cells. Doterra was launched in 2008 and entered the field of healthcare mixes with business. Through oils? Yes, through oils, but I am not judging! Anyway, they did spark a huge interest do to their studies, and hospitals are actually trying these oils out for themselves. Since Doterra has been so darn popular, I have to admit, I don’t feel like it is a scam. …then it comes down to how well you can recruit. Let’s face it, if you can recruit, then you can make a lot of money with doterra. Arbonne is a skin care company created by Petter Morck in 1975 and launched in the US in 1982. It has been around for many years and still going strong. The formulas are based on botanical skin care principals without animal products or even by-products. The products can be bought through a website or any independent rep in your area of course! That brings me to this being in my Top 5 MLM companies. Reason is it has been around for 30 years and operates similarly to Avon and Amway. The trend is rising, which is amazing considering how long it has been around for. However, again if you can recruit, jump in, if not then I suggest you stay away! Avon has 10 billion ins sales in 2013 with 6.4 million distributors. I had to put it at #4 and the reason why it wasn’t #1 was because sales have recently fallen big time in the US. Matter of fact, it now moved a lot of its operations outside the USA. Since the trends remains consistent, even though sales are falling, I still had to keep it at #4. Again, recruiting is the #1 factor in determining making money with Avon. Well, again another MLM company begging for more reps. So Why #3 on my list? Plus I like them, I mean they are probably the only supplement company directly tied to an actual sport…. 24 day challenge gets searched 18,100 times a month, and they are just in beast mode. However, they did screw my buddy Brad over at Lazy MLM but it is what it is. Not sure I would still even join them since they are still an MLM and the chance of me succeeding is what 1%? Even though top 3 on my list are great companies, none to me are still worth joining. Herbalife, another supplement company for weight-loss and overall health. It has been around since 1980 and I personal knew someone who made millions in this company. That had a big influence on me ranking it #2 on my top 25 mlm list. Again, you can purchase products online or through a distributor. This comes down to recruiting as always, but if the products are good and you can recruit you can make a lot of money with herbalife. Since the company has been around for so long, the revenue is stable, the products are good, the trends are still up, I had to put herbalife at #2. See why I chose Amway as my #1. Amway my #1 out of top 25 mlm companies for 2016. Simple, founded in 1959, $11 billion in sales made Amway the Most successful Network Marketing Companies in well over 50 years. Would I ever join Amway? HECK NO! However that doesn’t mean it isn’t a great company. Even I have to give credit where credit is due. The point of me not even having to explain the company on this page is exactly why Amway is #1. EVERYONE knows who they are and what they sell. Is 2016 A good year to join an MLM? In my humbled opinion, I believe in my heart that joining an MLM is the first mistake most people make when searching for an extra income source. Whether it be doterra, empower network, mobe or even dubli, the same poor soles spend their hard earned money to get bamboozled. I have done it and ton of people I know have done it. The biggest issue for me is the recruiting. MLM companies are not about the products, in most cases, and it all depends on recruiting. My life is to precious to leave in the hands of my recruits. That is why I talk about a better way on this blog. I hope I was able to bring a little value to my readers and of course comment below if you want a discussion. Watch this explode to new heights. Getting ready for a August launch that could possibly take the internet by storm. High Ticket internet marketing education with quarterly meetings or classes in Phoenix. Lets watch this one really close!